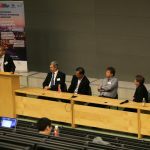 On the 30 & 31 August 2018, international researchers from 20 countries, 6 continents and 29 universities and companies gathered in Brno for the 2nd SPIL Scientific Conference on Energy, Water, Emission and Waste in Industry and Cities, at Faculty of Mechanical Engineering of Brno University of Technology (BUT). The conference adopted an intensive two-day format with plenary lectures, supplemented by panel and group discussions and poster sessions. 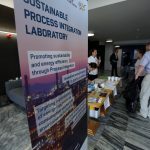 The conference was organised by the Sustainable Process Integration Laboratory (SPIL), which is led by Professor Dr Ing Jiří Jaromír Klemeš, DSc, dr h c (mult). Guest delegates joined BUT staff and student delegates to have the privilege to learn from and interact with internationally recognised authorities. The delegates represented countries including Austria, China, Germany, Hungary, India, Ireland, Italy, Malaysia, New Zealand, Philippines, Poland, Russian Federation, Slovakia, Slovenia, South Africa, Spain, Switzerland, Taiwan ROC, United Kingdom, and Ukraine. 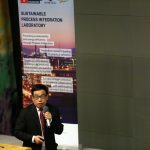 Among the delegates were Editors-in-Chief of high impact international journals – Journal of Cleaner Production and Renewable & Sustainable Energy Reviews (Elsevier). 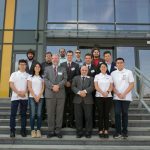 To bridge the gap between industry and academia research, the managing director of CALGAVIN, UK (an international high-tech heat transfer intensification company) and representatives of local industry joined the conference. 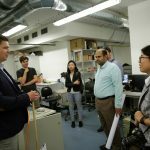 Delegates also had the opportunity to visit the laboratories of UPI – Institute of Process Engineering and EI- Energy Institute of BUT. 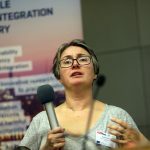 The conference generated substantial external exposure for Brno University of Technology, Faculty of Mechanical Engineering, NETME Centre and SPIL. Since the 1st SPIL Conference last year, several noticeable results have developed including joint publications in high Impact Factor journals and several joint EU Project applications. SPIL project, and its conference, is co-funded by the European Union and the Ministry of Education, Youth and Sports, via grant No. CZ.02.1.01/0.0/0.0/15_003/0000456 of the “Operational Programme Research, Development and Education”, Priority 1: Strengthening capacity for quality research. More information here.